Not all colostrums are alike; let’s first talk about “theirs.” Most companies take the raw colostrum and “skim” off the fat. Then they “pasteurize” it, which, just like milk, means they bring it up to at least 150 degrees very rapidly. This not only kills off most of the bacteria, but it also kills off most immunoglobulins and growth factors. 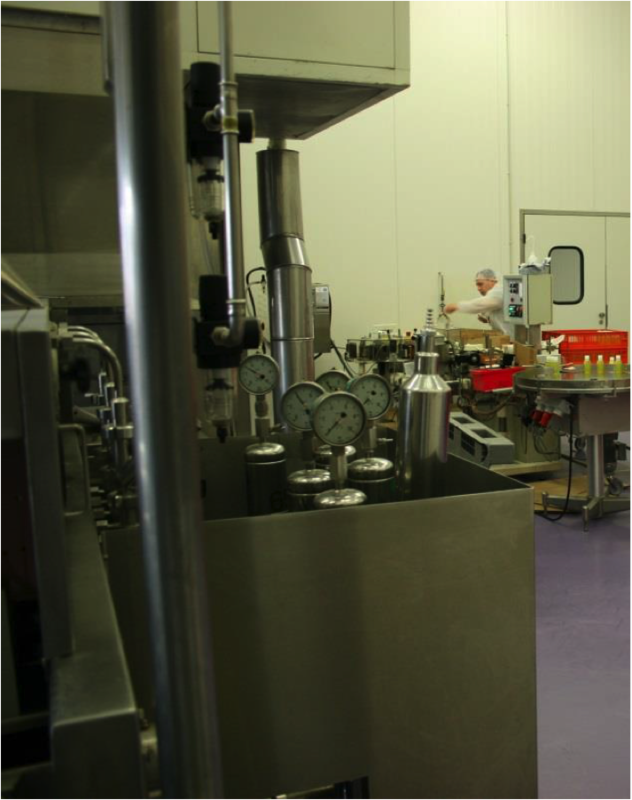 Then they put it into a lyophilizing oven (freeze dryer), which dehydrates the liquid and leaves a dry powder that “they” call colostrum. It is colostrum, minus most of the immunoglobulins and important growth factors that nature gave us – _but also with most of the casein fat. Typically, they may start out with about 1500 liters and end up with about 215 kilograms of what “they” call colostrum. When we start out with 1500 liters, we get 22 kilograms (with all of the growth factors still intact). You can conduct a simple experiment right in the comfort of your own home just to see the difference. First, get two small (but very clean and clear) glasses and fill them about three quarters full of cold tap water. Then take about three capsules of “their” colostrum capsules and pour them into the glass. Then take the same amount of ours and pour it into the other glass. 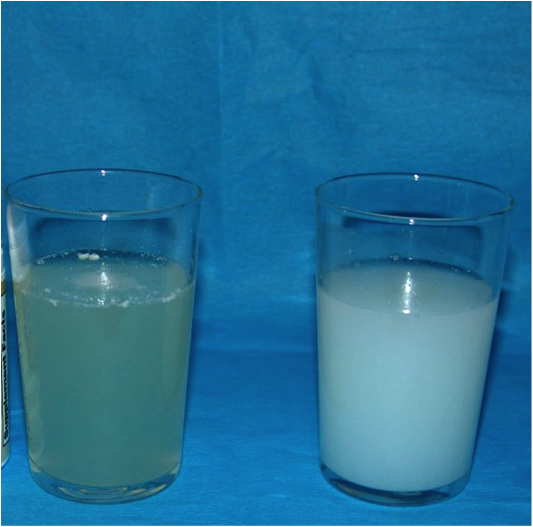 At first, they may appear the same, but come back in a few hours or so and you will see that “their” powder is still on top of the water and what little has become solubilized has made the water cloudy and milky (full of fat). Ours may be opalescent, not cloudy or milky, and it will have become almost completely solubilized. The reason for this is “they” still have most of the casein (fat) still in theirs. Figure 1. Cold-processed colostrum on the left and pasteurized on right So, to convince myself even further, I bought all the brands on the shelf at my local health food store – _six in total. Then I sent them to an independent laboratory for analysis of IgG and growth factor content. The average amount of IgG was 7% in “theirs” versus 48% in ours. The so called “plus” product had 15%. “Theirs” had undetectable levels of growth factors in all samples submitted. Ours had 1% to 1.5 %, which is a huge amount! 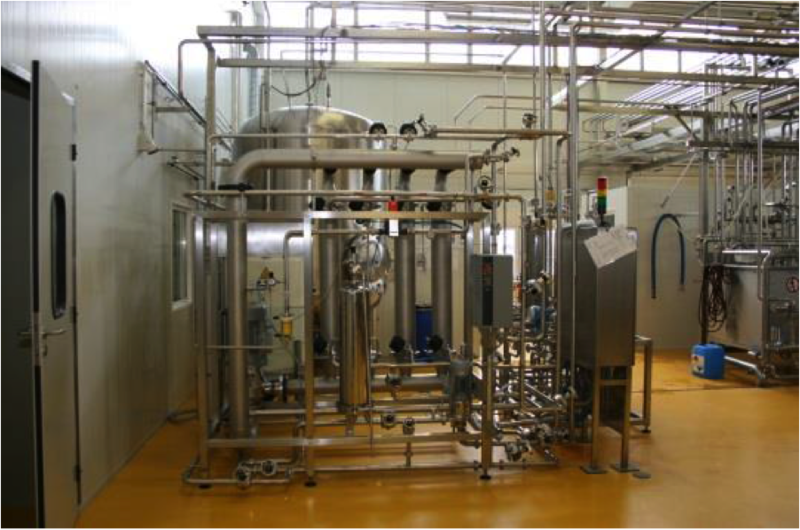 The below pictures depict some of the steps involved in the cold processing, microfiltrated and ultrafiltrated bovine colostrum. Figures 2 through 4. The filters depicted above are capable of extracting the exact molecular size of the product you are trying to obtain. It is a long and tedious process, but you end up with quality product. Figure 5. Holding tanks with basin to remove lactose from whey. Figure 6. 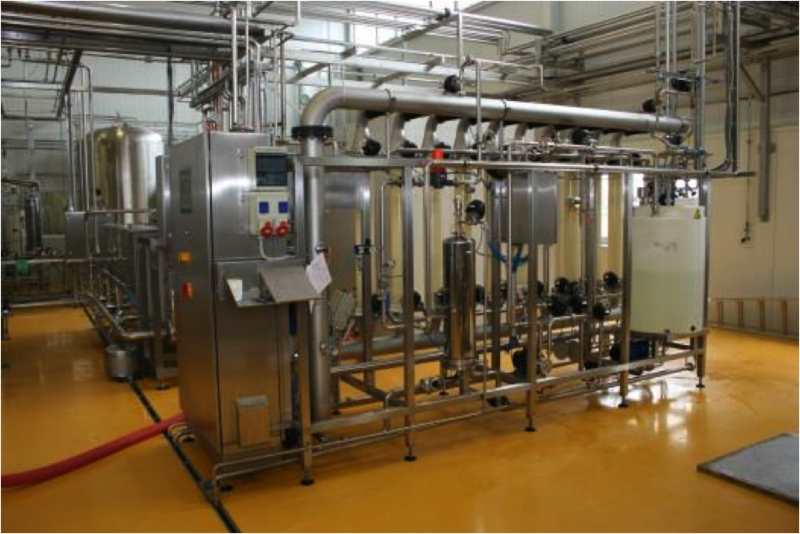 Ultrafiltration unit that concentrates the proteins by removing lactose and water. This unit is used for Telemorx® _Plus and Telemorx® _Xtreme. The difference is that we go through a process that takes days longer. Our yield at the end is much smaller, but contains all the nutrients that many of them claim to have. Our first step is to “skim” off all of the gross particulate matter by centrifugation. The next step in “our” process is to “decaseinate,” which is done enzymatically, meaning that we use enzymes to digest and eliminate all the casein (which is the unwanted fat). 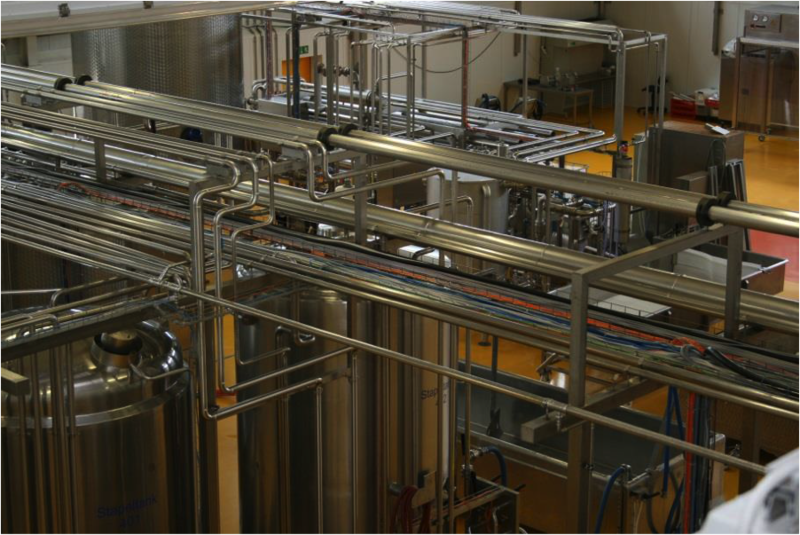 Next, we conduct a “microfiltration” process to get rid of the larger unwanted molecules. 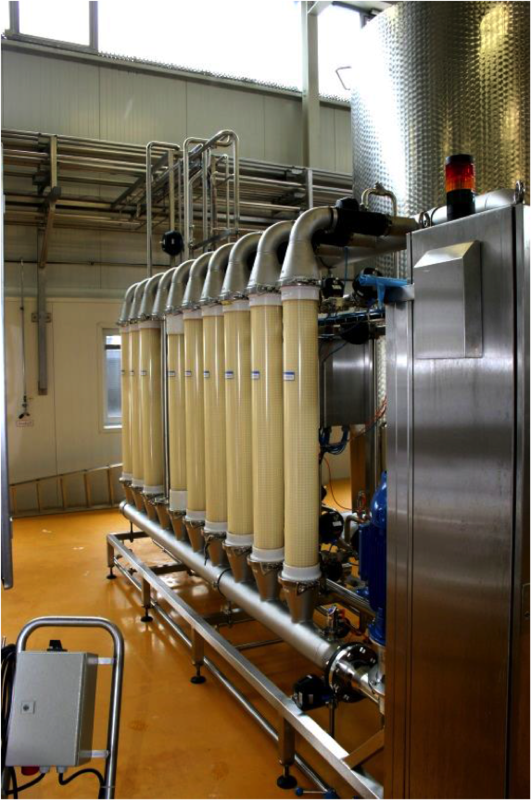 This is then followed by an “ultrafiltration” process, which gives us the desired molecule size. Finally, just like “them,” we freeze-dry it, which just means we put it into a vacuum chamber to eliminate the fluid portion of colostrum, which yields a powder. So, if you see the term freeze-dried, it’s just a way to go from liquid to powder form. Don’t get me wrong: Freeze dryers are extremely expensive, but it’s those other time- and money-consuming steps that make ours the Real McCoy. The other added advantage is that all of “our” colostrum is collected from EUC (European Common Market)-certified organic farmers. 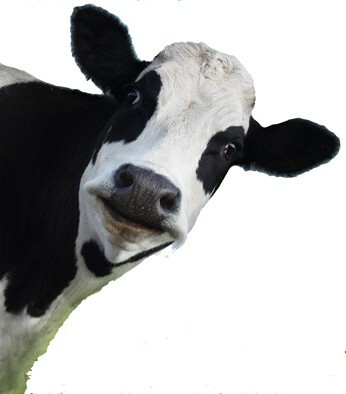 This means that “our” cows have never had any antibiotics, any hormones, are never fed with any animal products, are treated homeopathically and conform to their classification as ruminating animals (animals that chew their curd – _which is grass from pasture land – _regurgitate it, and then chew it again). The latter means that because they are ruminating animals, they need to do what ruminating animals do – _ruminate. In other words, they feed off uncontaminated grass lands that have been certified as organic for at least five years. These animals are not penned up and they are all BSE and parainfluenza certified (that means that they have all been checked for mad cow and parainfluenza disease and are free of it). The batch numbers on our bottles allow us to trace each batch back to the individual cow, each of which has a tag number attached to its ear. Yes it may cost more, but believe me, you get more!